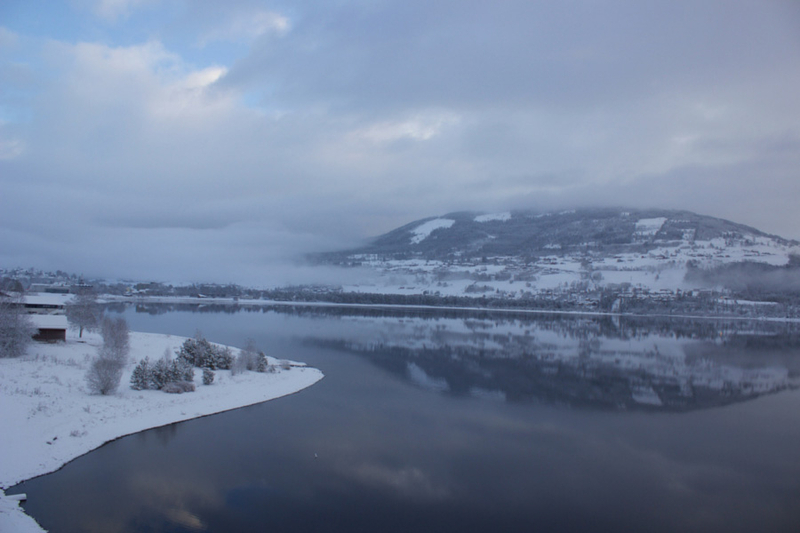 Norway is spectacularly beautiful in the winter time, and the Norway in a Nutshell self-guided tour is a fantastic way to see so much of this amazing country. I’ve already got a few things on my bucket list to do there in the summer months as well! 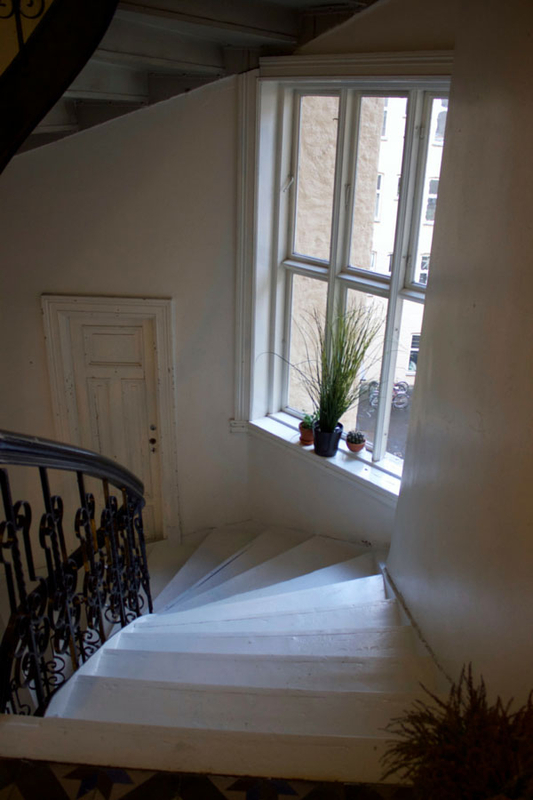 I set out on New Year’s Day on a comfortable bus from Gothenburg to Oslo and arrived at my cute little Airbnb apartment in the centre of the city. I spent a couple of days exploring this massive, rich city. 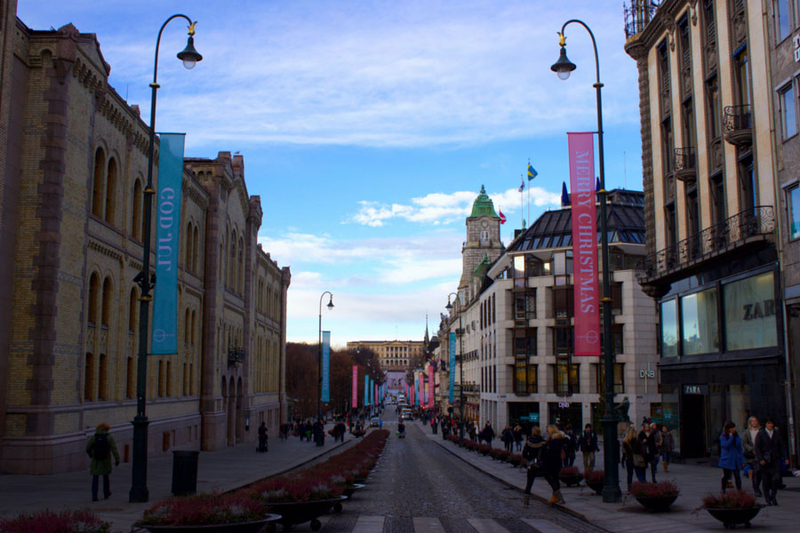 Although it was beautiful, Oslo was not the highlight of my trip. I do prefer to get out of the city on my holidays, or at least away from massive hoards of tourists (generally, but not always). 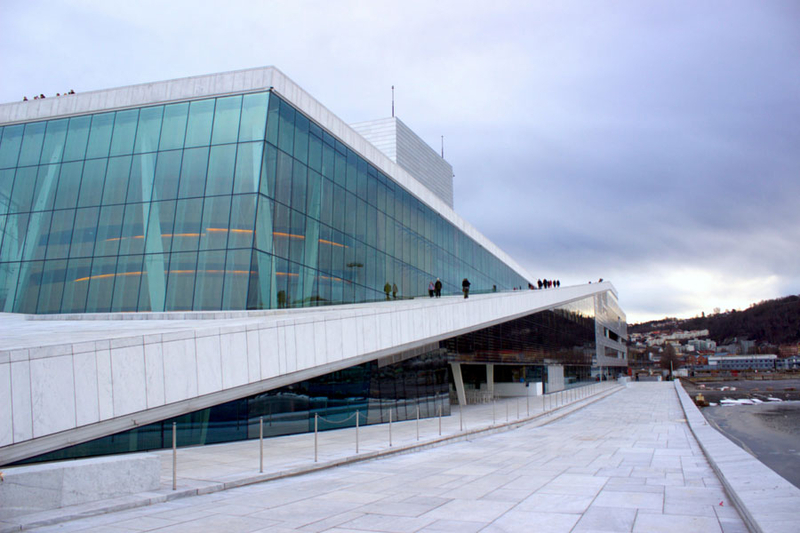 The Norway in a Nutshell trip is a combination pass of public transport, including train, bus and ferry. It’s a fantastic way to see the country on a set route, especially if you’re short on time. 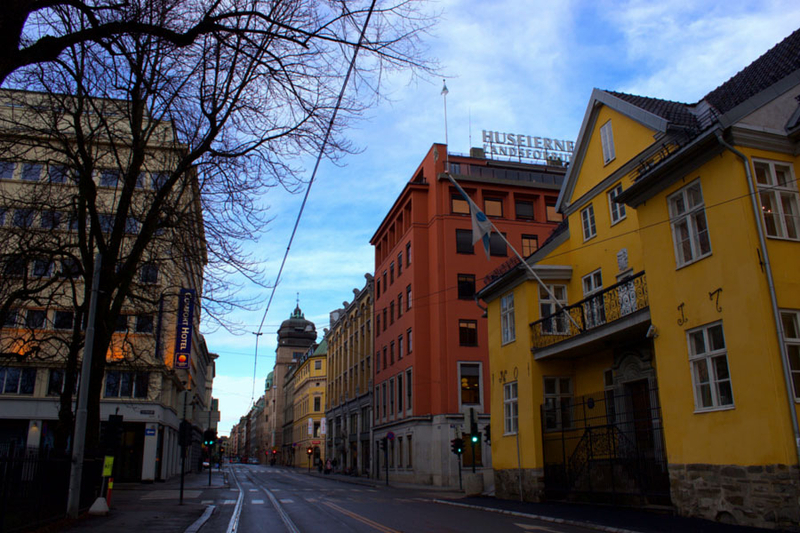 I chose to do the cross country Oslo to Bergen route and broke my trip in beautiful Voss for a night, which turned out to be my favourite place in Norway. The journey started out with an early morning train from Oslo to Myrdal (5hrs) where there was a 30min break before boarding the famous Flam railway to Flam. Unfortunately just two months prior, Flam was devastated by horrific floods and the effects were still visually present. However, compared to what I’d seen online when the flood first hit, the little town had pulled together well. I’d read that they still encouraged tourism as it’s a main source of livelihood for many residents. As the Flamsbana winds its way through the beautiful scenery to Flam, some 865 meters below, it makes a couple of short stops. My favourite stop was the spectacular Kjosfossen waterfall. 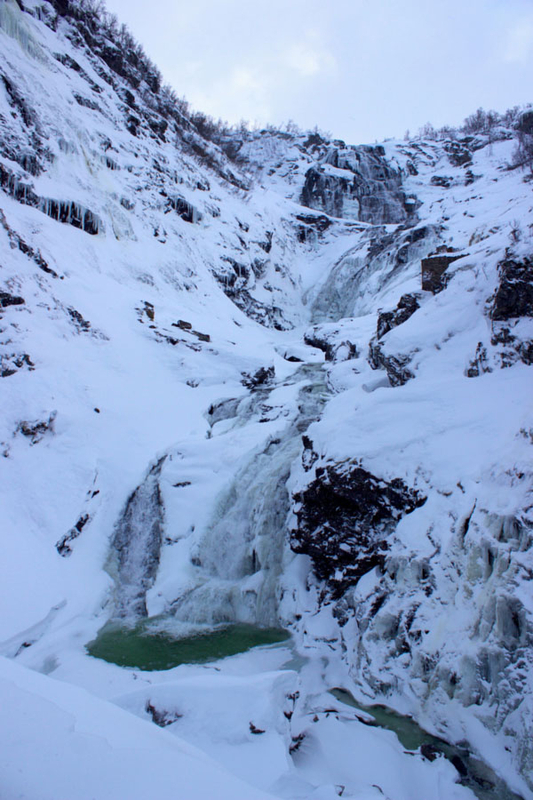 Stepping off the train into deep powdery snow, out into the crisp mountain air to view this almost-frozen waterfall was breathtaking. The photos really don’t do it justice!! After the hour trip to Flam, there was a short stop to grab a bite to eat and check out the train museum before boarding the ferry to Gudvangen. Having visited Milford Sound and Doubtful Sound in New Zealand, I was very excited to see the fjords on the other side of the planet. As expected, they did not disappoint. I love that the Norway in a Nutshell self-guided tour takes you out onto the fjord, as sometimes a cruise isn’t quite in the budget! 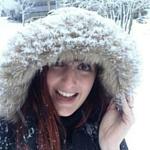 Mother Nature was in her winter element. At this time of year, the days are short, only about 6 hours, and it’s freezing out on the water! However, I made the most of it and headed outside into the wind. Thankfully, almost every other tourist was smart enough to stay warm inside, which left me virtually alone enjoying nature. 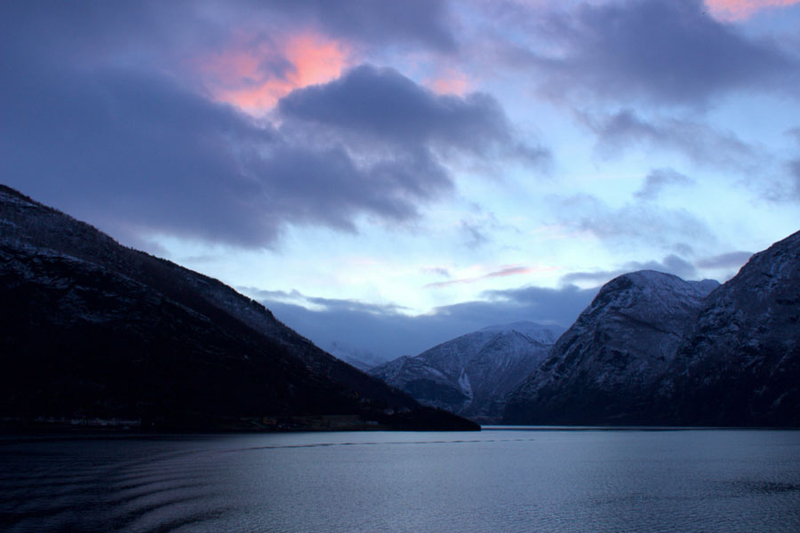 Visiting the Norwegian fjords was a very different experience to visiting Milford Sound and Doubtful Sound in New Zealand, I think the weather really affects the mood of a destination. Norway was a stark comparison to New Zealand, with crisp cold winds and angry grey skies as opposed to fluffy white clouds on a picture perfect blue sky. Norway was a very different feeling; bold, powerful. I loved it. 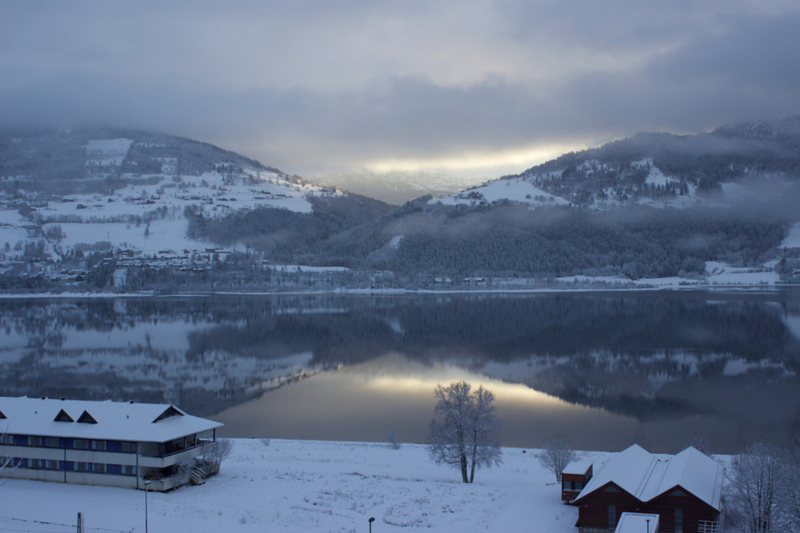 Following the ferry cruise, there was a relatively short bus ride (45mins) to Voss. As I arrived at night time, I had no idea of the beauty that surrounded me until I woke up the next morning. After a wonderfully relaxing sleep in the most expensive hostel I’ve ever stayed in (AU$140 for the night!) I was ready for a day of exploring Voss. 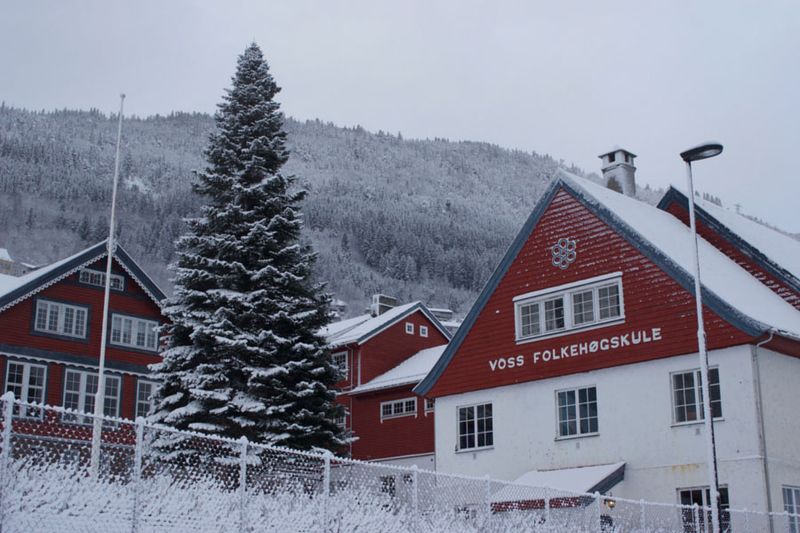 Voss is an amazingly beautiful little ski town that is definitely worth checking out – more on this in another post (coming soon!). That afternoon, I had the last leg of my Norway in a Nutshell trip; just over 1hr of some of the most stunning winter scenery I’ve seen (video coming to Facebook soon). Coming from Queensland, Australia, I’m certainly not used to snow, so seeing this vast black and white landscape was truly unusual and beautiful to me. 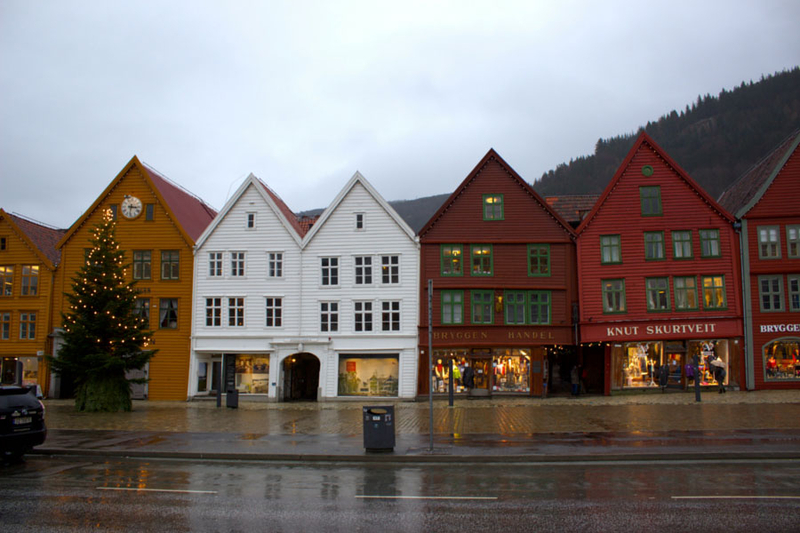 I arrived in Bergen in the early evening and wandered from the train station to my next Airbnb accommodation. I was greeted at the door by my lovely host who was very welcoming and gave me some guide books to her city. During the next few days in Bergen, the weather wasn’t particularly kind to me; however it’s fairly unavoidable when it rains about 235 days a year. This didn’t stop me from wandering around town and taking in the harbour views. There are some beautiful coloured buildings in the old merchant quarter which are actually UNESCO protected. I’d recommend wandering down the narrow alleyways to see the beautiful antique wooden architecture. 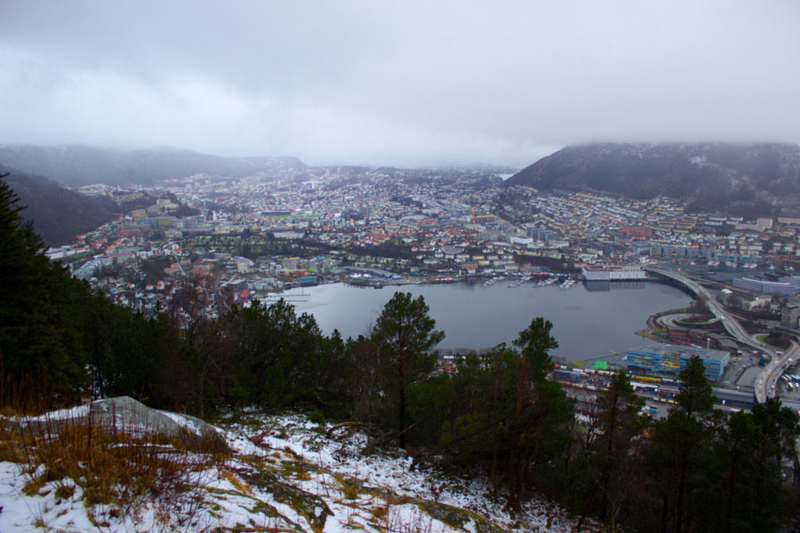 And lastly, you can’t miss taking a ride on the funicular, all the way to the top viewing platform to get some panoramic views of Bergen (much better without rain I’m sure!). 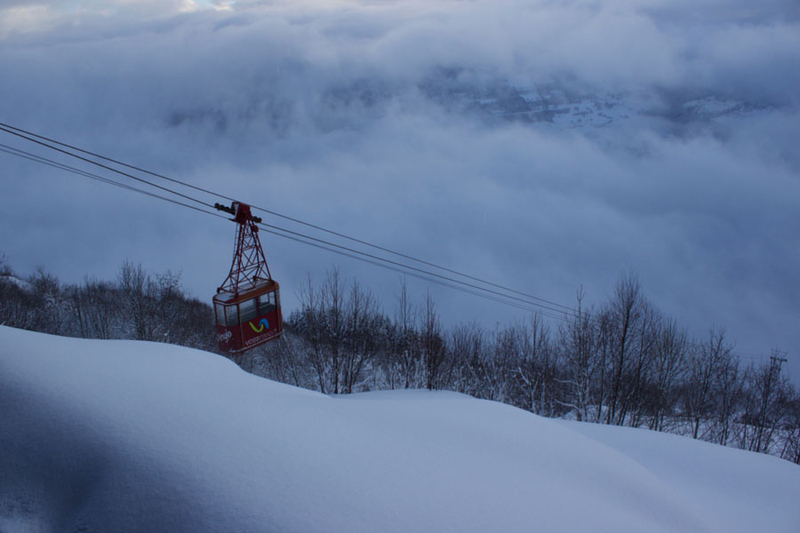 Do you love winter destinations? What’s your favourite winter holiday? If you want to see more, find me on Facebook and Instagram! Map is a guide only, actual route may vary. 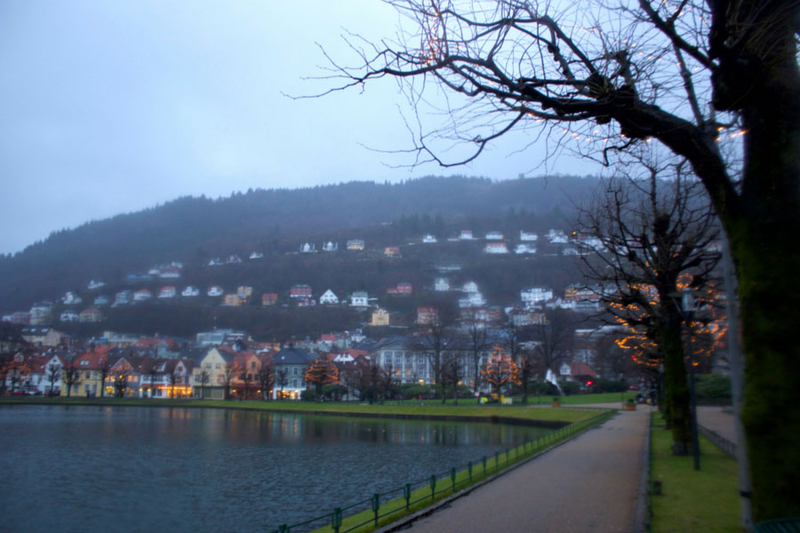 I loved Bergen! 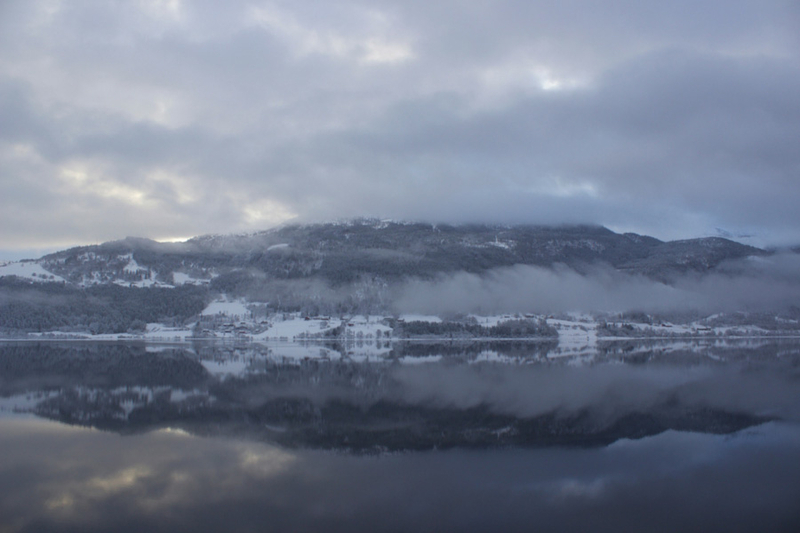 I’ve heard that the train from Oslo to Bergen is absolutely stunning but I didn’t have time when I was in Norway. I’ll definitely be going back…loved it so much there! And also, the rain in Bergen…are they serious?! I thought it was bad in England! End of January. I had to go for a work trip so didn’t get to see much, but I’ll be back for sure!